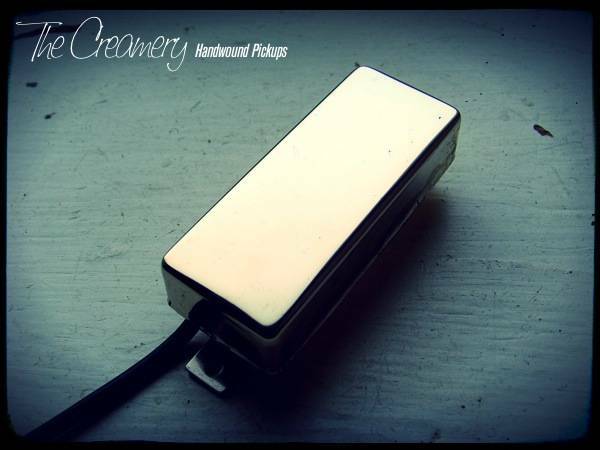 A different design to the Mini Humbucker, namely two coils side-by-side, each wrapped around individual bar magnets to give a RW/RP, Reverse Wound / Reverse Polarity Humbucker Pickup. Rich and clear with great harmonics and a fatter, 'doubled-up' single-coil sound. More crunch, spank and a tighter bass response than a Mini Humbucker. Brighter, tighter with more clarity than a humbucker yet fatter than a single-coil, they're great for the neck position or snarly and crunchy when cranked in a balanced, calibrated set. With my replacement Firebird® style pickups, the coils are asymmetrically wound giving more dynamics, with a richer clarity & string definition. A rich, vintage sound.